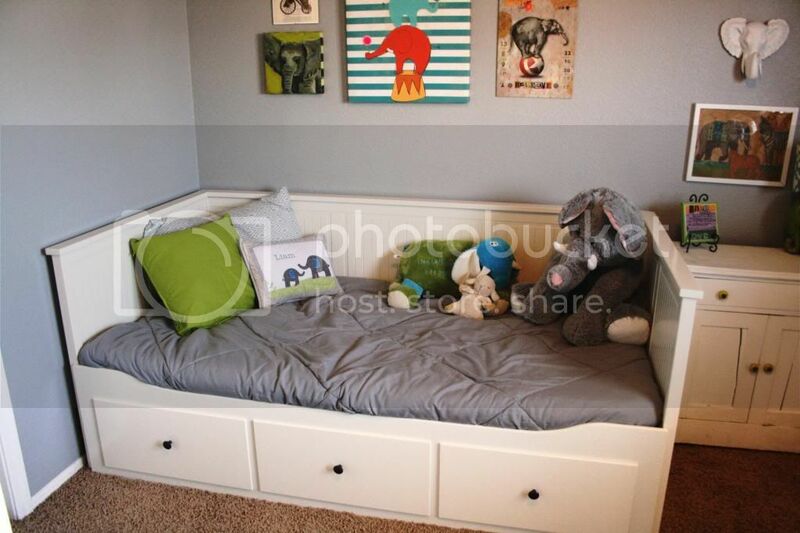 Jordy Liz Blogs: A long overdue nursery reveal. 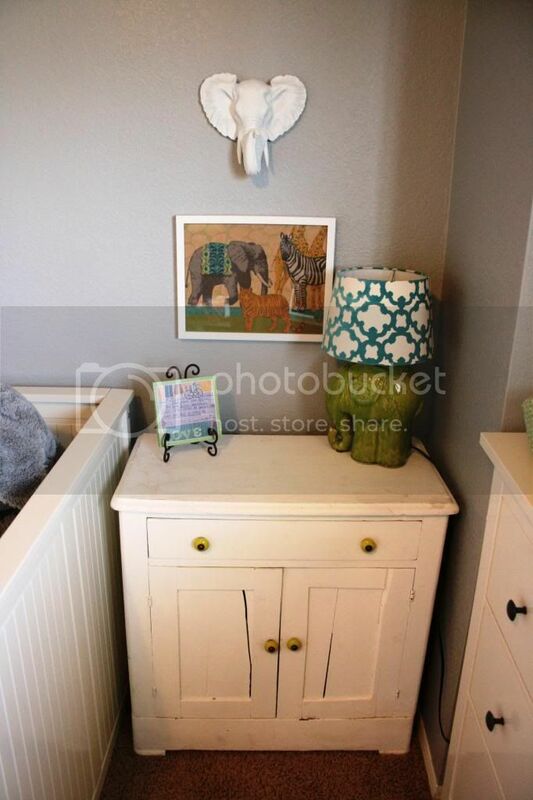 A long overdue nursery reveal. Liam is inching towards the eleven-month mark, so I think we're ready for a nursery update, huh? 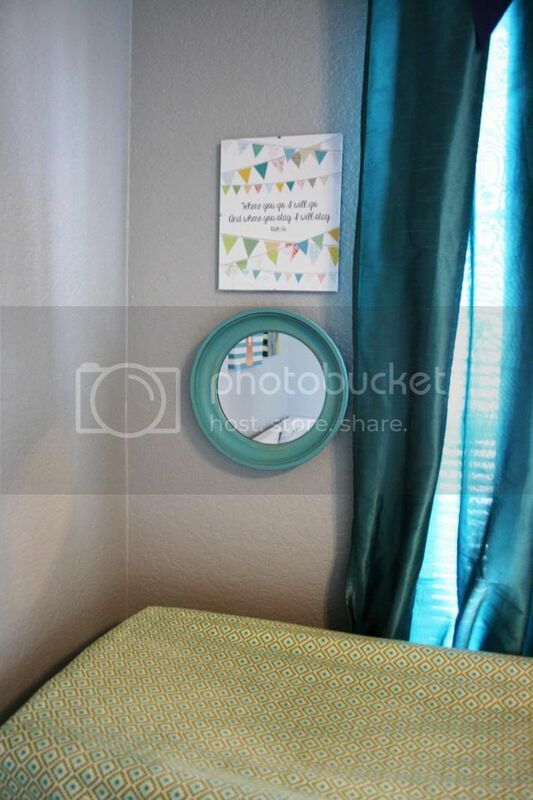 The nursery was all ready just before Liam was born in March. My mom came in town and hung the curtains. The art was perfectly in place. The furniture fit just right. My job was done well before the baby came. 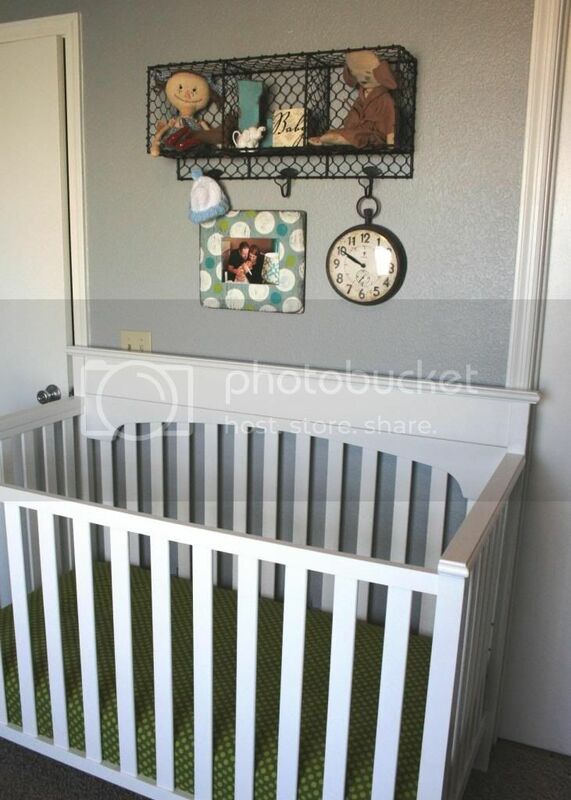 Then, in April, we up and moved when he was just one month old and we had to completely recreate the nursery space. Since April, we've managed to live with this awkward space, but it has never been quite right. The furniture didn't seem to flow and I always felt like it was unfinished. We were constantly tripping over the glider in the middle of the night and there wasn't a good spot for Liam to just sit and play. Finally, just a few weekends ago, I decided I was done with simply managing it and I was ready to enjoy it. We did some quick rearranging and it finally all fit. It finally, after ten months, felt finished. 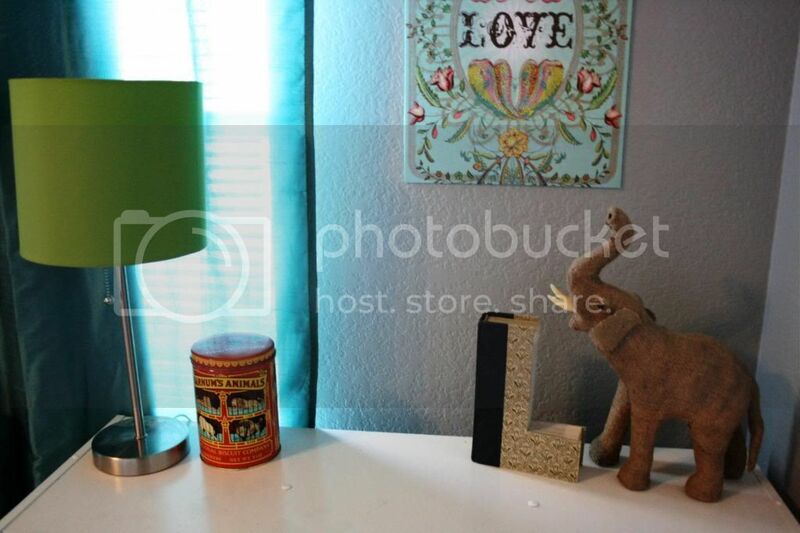 Liam's nursery is full of blues and greens with an underlying elephant theme. When I was pregnant, we decided not to find out what the gender of the baby would be. I chose neutral colors and went with it. 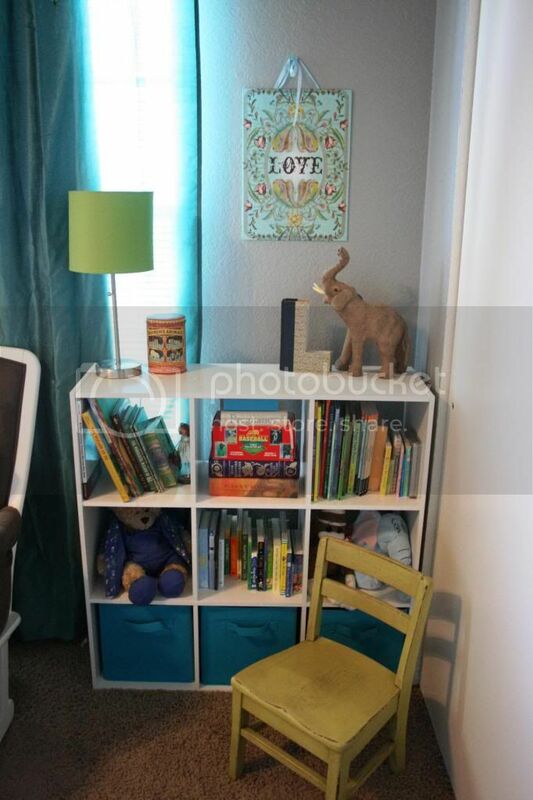 Once Liam was here and we found out we had a baby boy in our hands, I added more boyish touches, starting with the dark gray walls. Here's his nursery with details galore. 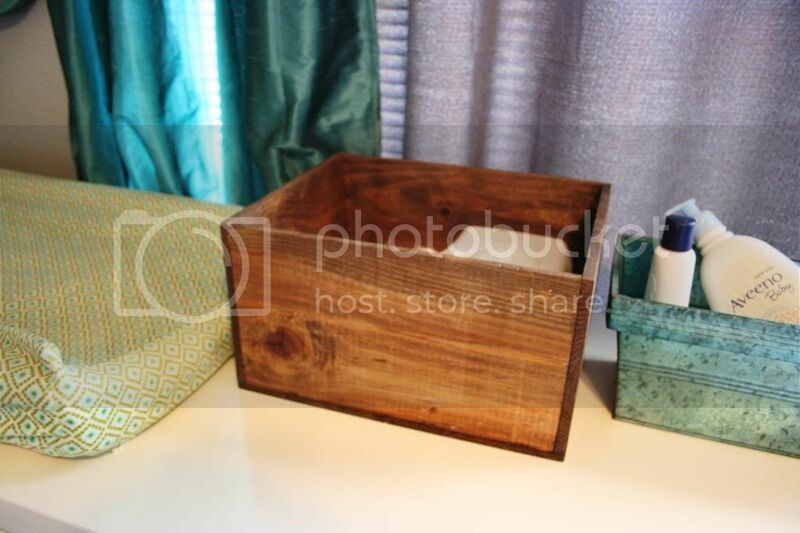 Just click on the links to see the product in more detail. 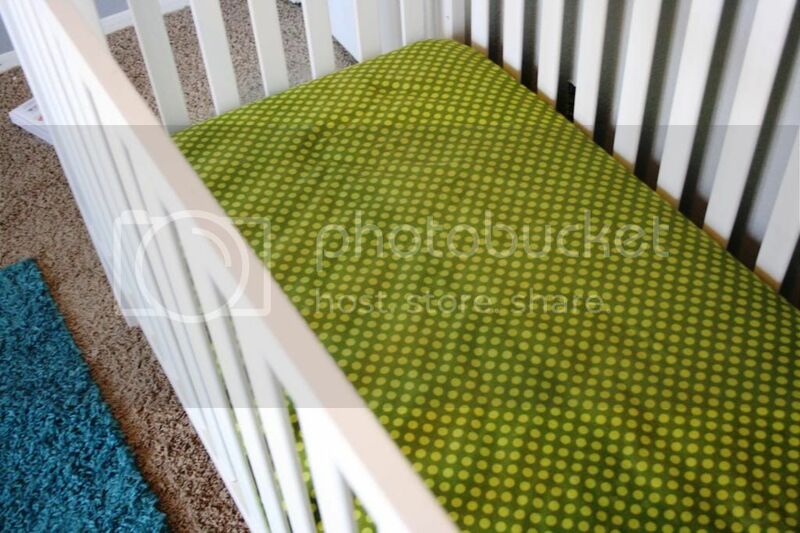 His crib is the central focus of the room. We recently moved it in between the bedroom door and bathroom door because there really was no other good place for it. 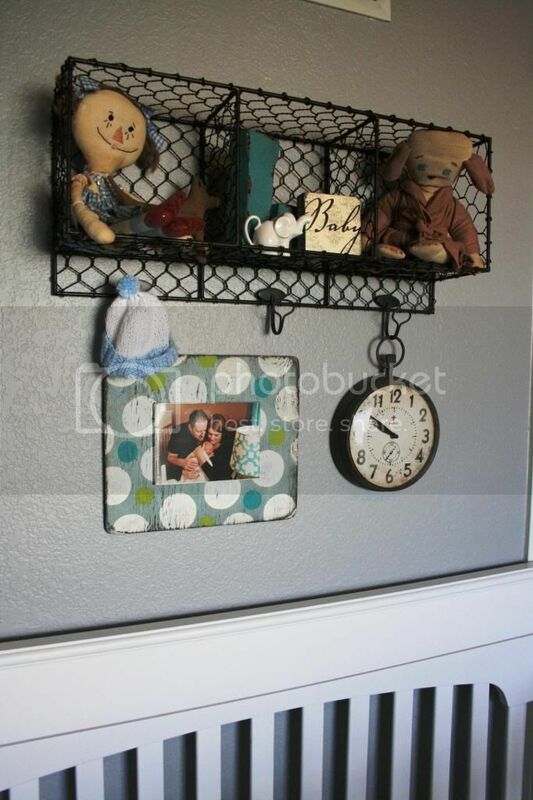 A shelf is hanging above it with his newborn hat from the hospital and a couple of keepsakes from me and Chris. 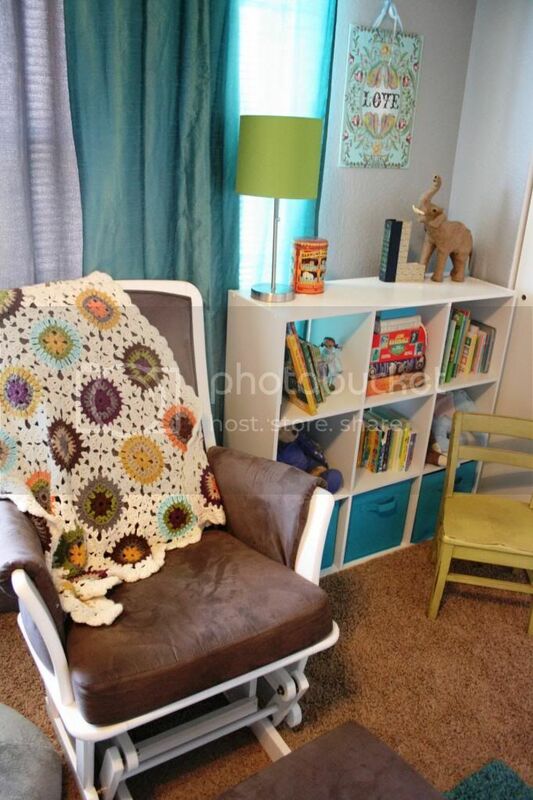 On the opposite wall is a little reading area with the glider (and a quilt crocheted by Liam's talented aunt), a bookshelf, and a chair just for him. 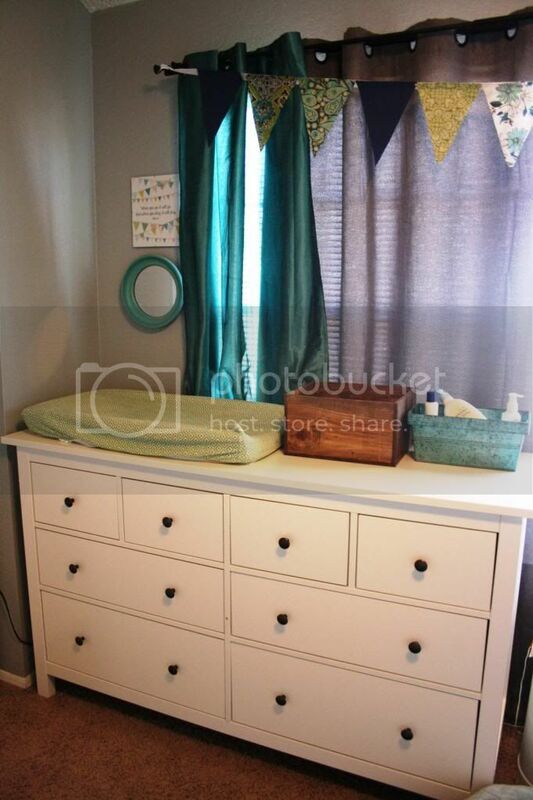 Right next to the glider is his dresser and changing station. 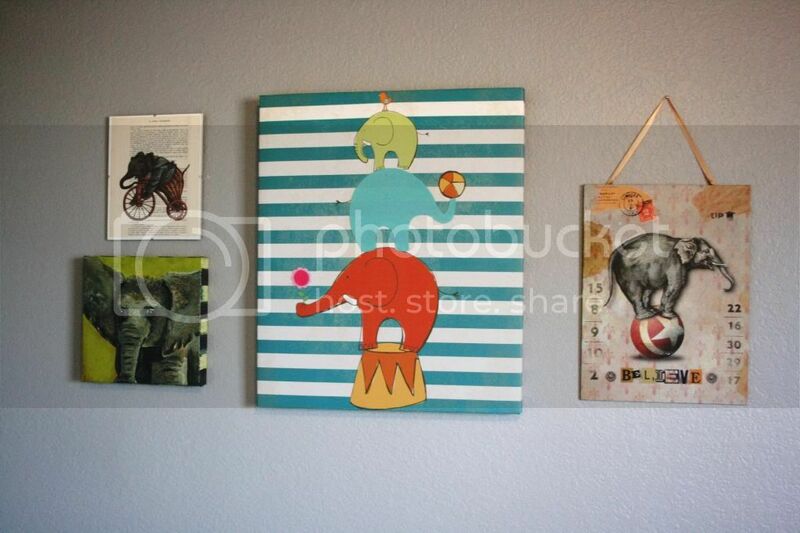 On the wall in between is the daybed. This bed is available for guests who come visit solo. We typically put Liam in our room in the pack-and-play and let our guest of honor have the room to themselves. 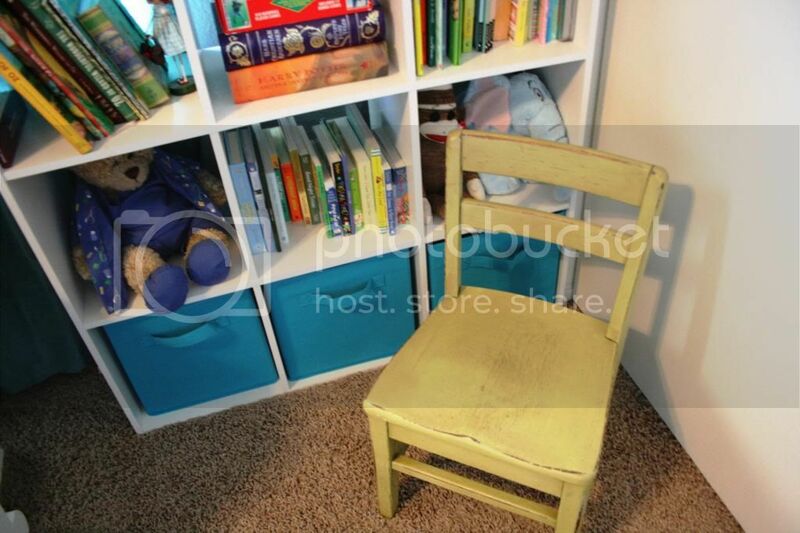 It also provides lots of extra storage and will hopefully be his "big boy bed" one day. 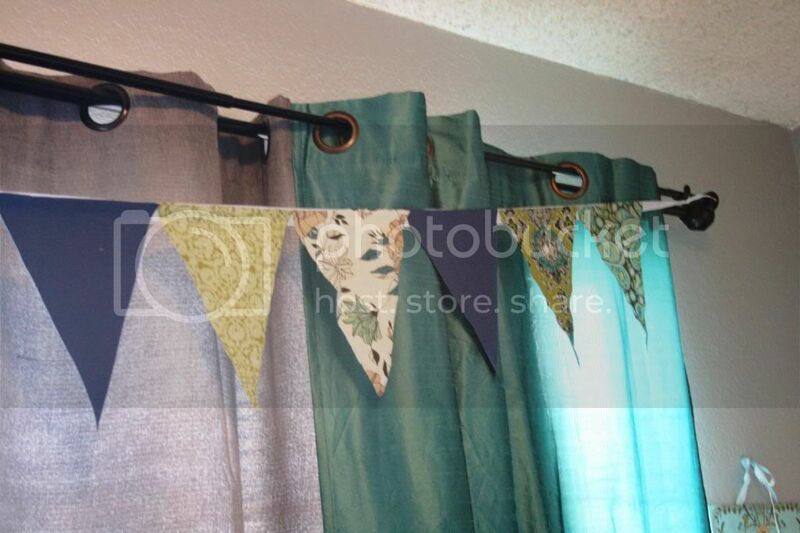 To tackle the "wall of window," we had to hang four curtain panels: two gray blackout curtains and two teal curtains. I added a fabric pennant along the top that was used to decorate Liam's baby shower just a couple months before he was born. 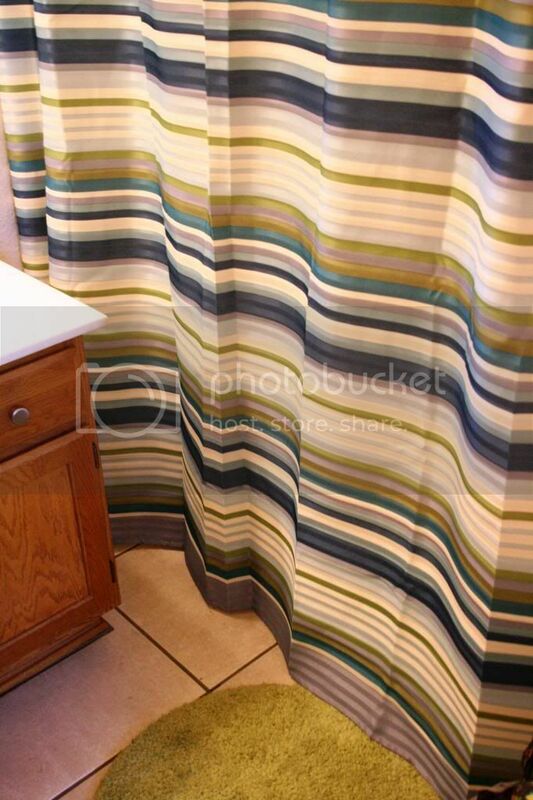 He also has a bathroom connected to his room which has been so much more convenient than I could have ever imagined. The blues and greens continue in there (but it's still in need of a good paint job). While we usually play downstairs in the living room out of convenience, it's been fun to shut the door to the nursery and hang out in there for a bit now that's it's complete and functional. I can't wait to see him continue to grow into the space. i love it! i love that shelf above his crib! and i always wish we had a little bed in addi's room - although I'm pretty sure I would've slept in it for the first month when we put her in her room at night! !